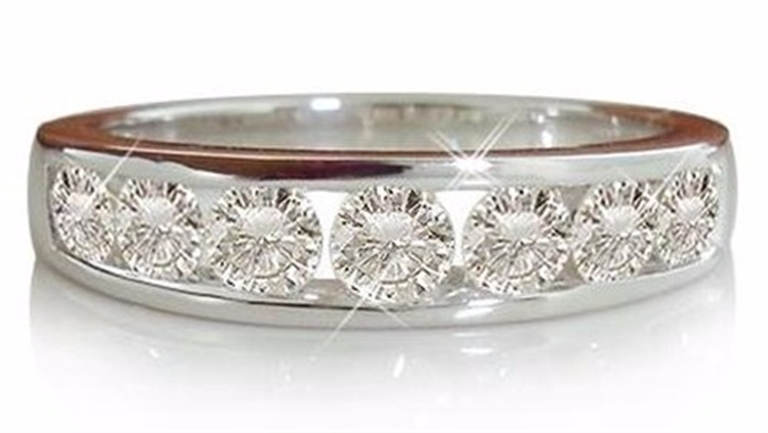 An Eternity Ring is a perfect gift for the love of your life. Check out our glossary for all your eternity ring wants and needs. An eternity ring is the ultimate symbol of love. For centuries, the eternity ring has cherished the status of everlasting love and beauty. 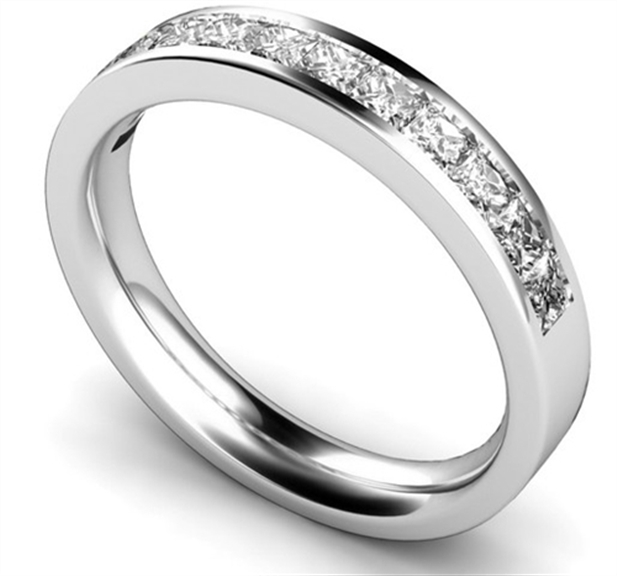 Traditionally, you should gift the love of your life an eternity ring on your 10th wedding anniversary, or after the birth of your first child. You can find out what order you should wear your eternity ring, engagement ring and wedding band, and everything you need to know about eternity rings here. Purchasing an eternity ring for your husband/wife is a big investment, and there's a lot you need to consider. From your desired setting to the type of diamond you want, you need to do your research. At Diamond Heaven, we believe it is important for you to make an informed decision, which is why we've put together a glossary for everything you need to know about eternity rings. 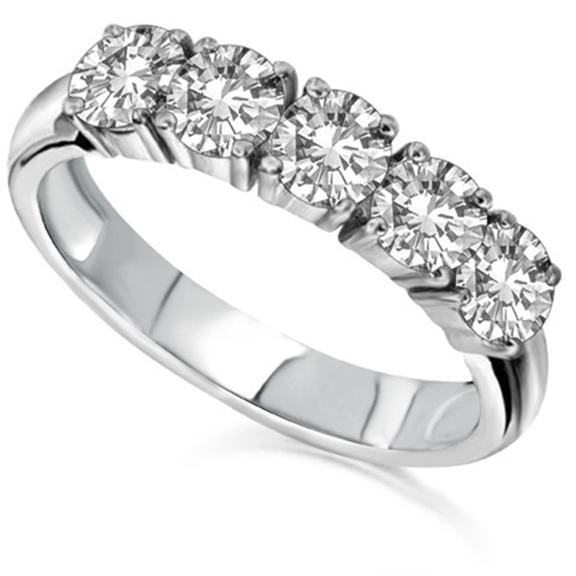 Full Eternity Ring - A Full Eternity ring is a metal ring with diamonds and/or gemstones set all the way around the band. 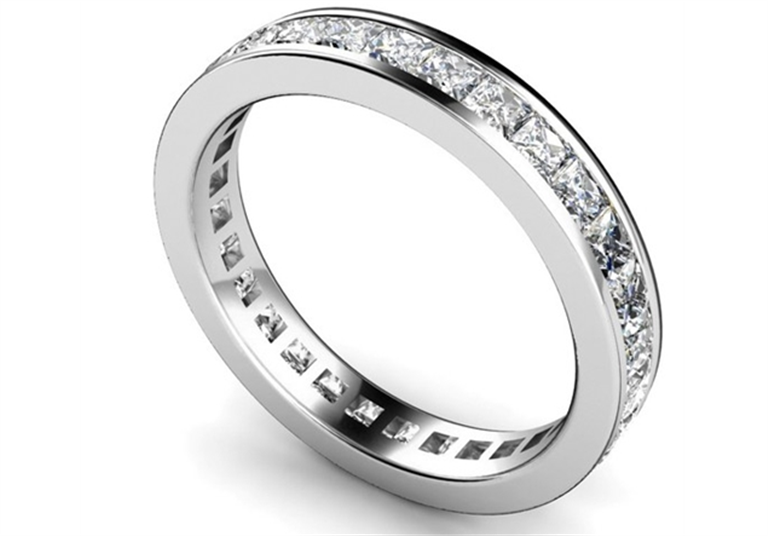 Half Eternity Ring - A Half Eternity ring is a metal ring with gemstones and/or diamonds set across the top of the band. Channel Setting - A channel setting is a ring without a centre stone. The diamonds or gemstones in the eternity ring sit side by side without separation, going all the way round (full channel) or half way (half channel). Prong Setting - A prong setting is when the diamonds or gemstones on the eternity ring are held in place with a claw shaped type of binding. Usually, three, four or six prongs are soldered onto the ring, and the jewel is then mounted onto the ring. Unlike the smooth metal edge on a channel setting, the stones in a half prong eternity ring and full prong eternity ring often feature. 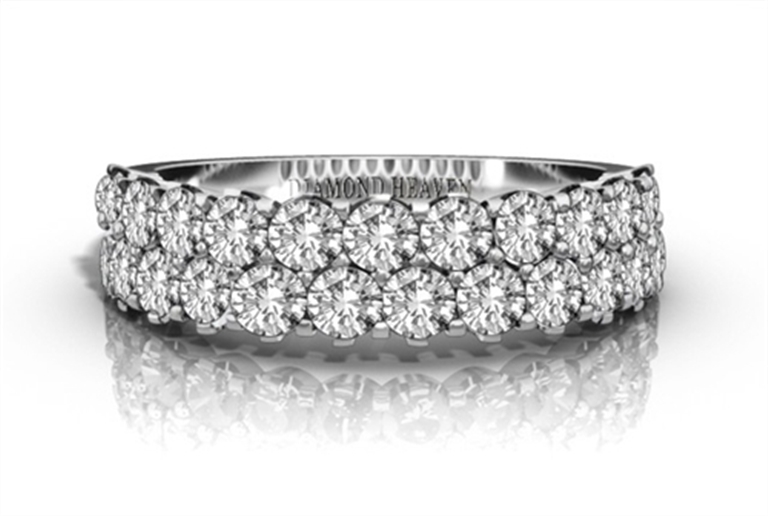 Pavé Setting - A full or half pavé eternity ring is a setting that features small diamonds very close together, with almost no visibility of the metal prongs holding the stones in place. The word pavé comes from the French word, "to pave", and means your eternity ring is literally paved with diamonds. Silver - Silver is a soft, white, lustrous precious metal often used to make jewellery. Platinum - Platinum is a malleable, dense, silvery white precious metal. The name comes from the Spanish word ‘Platina' which means ‘little silver'. You can find out more about it here. Gold - Gold is a slightly reddish yellow precious metal. It is soft and malleable. Gold is often paired with other metals to make yellow gold, white gold and rose gold jewellery. Palladium - Palladium is a lustrous silver white metal that is very rare. Palladium is often used as an alternative to platinum jewellery. Read more about palladium here . Hallmark - A hallmark is applied to gold, silver and platinum jewellery by the British Assay Offices. These hallmarks certify the purity of the metals. For more information regarding Hallmarks, check out our FAQs . The GIA Scale - The GIA Scale is a universal system used to evaluate and grade the quality of a diamond. This system uses the 4 Cs to determine this. You can get more information here . Colour - When evaluating a diamond, the colour refers to the lack of colour in a diamond. We are used to seeing brilliant white and almost transparent diamonds, but it is rare that they are formed like this. Check out more about diamond colour here . Cut - The cut of the diamond refers to the proportions, symmetry and polish of the diamond. This shouldn't be confused with the shape of a diamond! Clarity - The clarity of a diamond looks at the inclusions and marks on the diamond. This category is divided into two grades. Carat - The carat of a diamond refers to the weight. One metric carat is 200 milligrams. You can find out more about carats here . Shape - Every gemstone or diamond is cut into a shape to suit the piece of jewellery. There are 10 classic shapes: round, princess, heart, emerald, asscher, marquise, radiant, cushion, oval and pear. Book an appointment with Diamond Heaven and we'll help fulfill all your eternity ring wants and needs.